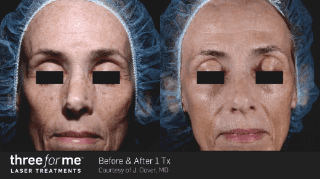 ThreeForMe Trilogy Laser Treatments reverse sun damage that contributes to the development of fine lines and wrinkles, exposed facial veins, and brown spots - all of which gives skin a dull and aging appearance. 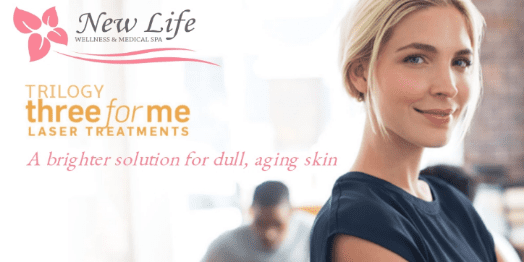 The treatment plan consists of 3 sessions in which our talented esthetician will begin with IPL photofacial technology to break up and erase pigmentation and discoloration such as brown spots and age spots, and to remove facial veins, cherry angiomas, and rosacea. Then we use Fraxel (fractional) technology to promote collagen growth, diminish fine lines and wrinkles, and improve skin texture - especially the "crepe-y texture" that comes with age.